His father made guns by hand. So did his grandfather. And his great-grandfather. And, he reckons, his ancestors even further back. For almost two centuries, his family has included skilled craftsmen. So it makes sense that Javid, who began apprenticing in his father’s factory at age eight, makes guns too. The firearms are a source of pride for the few who still know the craft and its history — and a headache for those willing to keep making them. As late as the 1980s, more than 20 factories thrived in the city, employing hundreds of people and producing thousands of handcrafted shotguns. Only two factories remain. A combination of bureaucracy and rigid security measures in India’s northern territory is crushing its famed gunsmiths. Soon, they may end up in a situation that seemed unlikely to previous generations, outlasted by the guns they produce. Tucked away in the northern corner of India, the city of Srinagar sprawls out across the Kashmir Valley. Ornate wooden houseboats rock in gentle lines along the swampy edges of Dal Lake. The surrounding Pir Panjal mountains, which cut through the summer haze, and form part of the Himalayan range, are thickly forested. The area, Indian government posters proclaim, is a paradise on earth. In Srinagar’s old city is the shop first started by Javid’s grandfather, Muhammed Subhana. 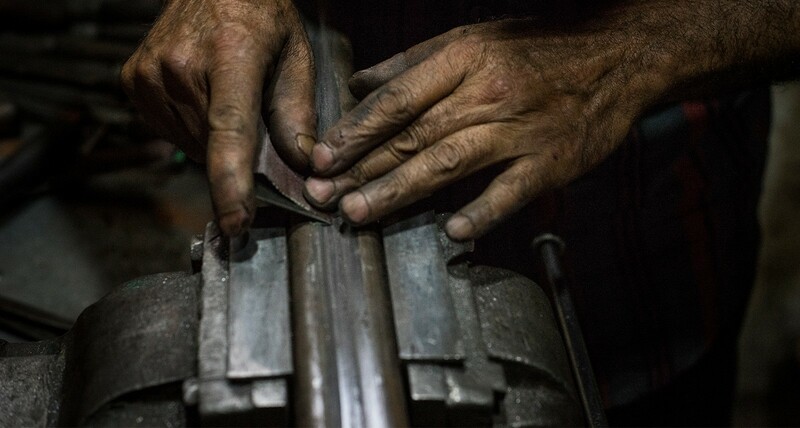 Opened in 1925, it operates in what was once an area so renowned for its master craftsmen it earned the name Bandook Khar Mohalla — the gunsmith’s quarter. Inside, the shop looks as if little has changed: the interior is a tangle of overhead wiring, with tables thickly caked in soot and sawdust. Near one of the few sources of natural light, Javid tinkers with a locking mechanism, fidgeting with the piece over and over, searching for a satisfying click. At 35, he’s spent the majority of his life in the shop. Working with the steady cadence of someone in no rush and in no need of surprises, he knows the right wood to choose and how to balance the gun, giving it the perfect heft. “Almost all guns produced in India are made in large factories by machines,” he says with derision. India has the third-largest standing army on the planet and needs guns to fill the hands of its soldiers, making it the world’s fifth-largest weapons spender. But those guns — the guns churned out by mechanized assembly lines — aren’t the same as the ones produced in this little shop in Srinagar. Not even close. To watch the Kashmiri men do it, making a gun is simple. But in the simplicity is years upon years of repetition — the practice of a dying art. There are no computers to measure and model and no lasers to guide the necessary cuts. It’s one of the few places where the craft is practised by hand, almost by pure intuition. Rods of iron and steel, each weighing nearly seven kilograms, are sourced from neighbouring Indian states. And after the meticulous process of drilling, scraping and polishing, more than five of those kilograms disappear as spirals of metal strands on the floor. The result is a barrel that glistens in the muted light of the shop. To become a gunsmith is less a choice than it is a destiny. The children of gunmakers become the fathers of children who become gunmakers. To make the stock, walnut logs harvested from the valley are purchased at market. Chopped into pieces, the wood dries for three years. If used too soon, the wood warps and bulges, says Javid. But once aged, it holds its shape: the distinct curves of a shotgun stock will remain unchanged as time and use weather the gun. “When I work with my hands, I feel proud. 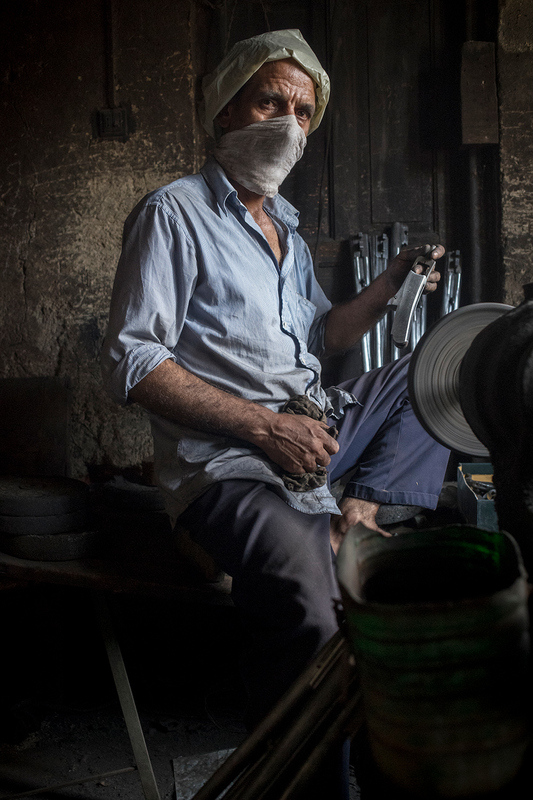 I feel connected to the past,” says Nazir Zaroo, owner of the only other gun factory in the city. At 57, he’s spent the last 40 years of his life crafting and selling guns. To become a gunsmith is less a choice than it is a destiny. The children of gunmakers become the fathers of children who become gunmakers. Burhan, Nazir’s son, will take on the business when his father can no longer make guns. To produce a single-barrel shotgun takes two days and a double-barrel takes six, says Nazir. Most, unless ornately carved, will sell for less than 300 Canadian dollars. The guns might not have the sterling reputations of American or British manufacturers (think James Purdey models, which can sell for hundreds of thousands of dollars). But that’s more a historical and geopolitical anomaly than a fair assessment of the craftsmanship. In the past, hunters and royals — even the Maharaja — would come to Kashmir to purchase the ornately carved and carefully assembled firearms. That legacy, shared by gunsmiths, leads back along the windy route of the Mughal Road, through the Khyber Pass to the mountainous Hazara region in Afghanistan. The trade of weapons has always resisted geographic boundaries. Rather, it has ebbed and flowed, following rivers and mountain passes to where it is most desired. During the reign of the Mughal Empire in India, the Hazaris cultivated a reputation as master craftsmen of cannons, swords and arrows; they were merchants of war. So skilled were these families, including the Zaroos, that they were moved, by order of the Mughals, from Afghanistan into Kashmir. Early weapons makers brought with them a set of skills calibrated to the most precise measurements and angles; they never had the chance to rely on the luxuries of a drill press or lathe. 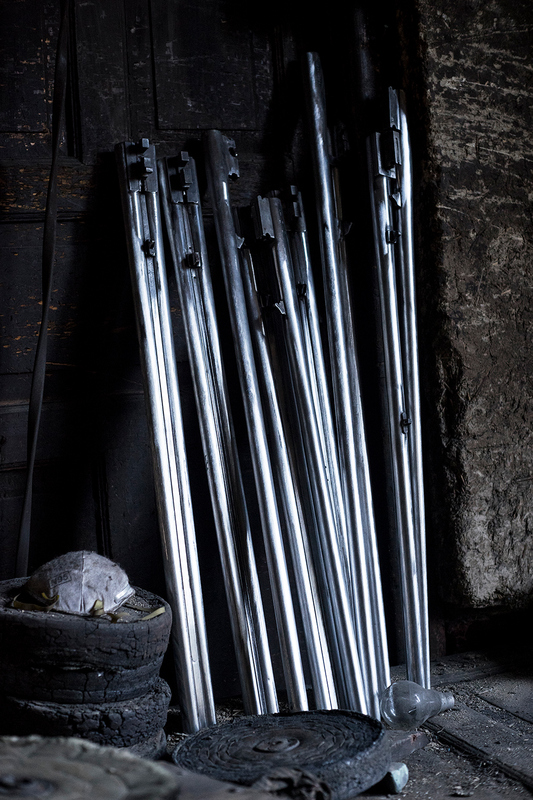 To shape the steel into the form of a barrel with lightly tapered lines, the metal was peeled carefully by hand — a process that took days.While other skills faded away as new technologies emerged, this commitment to perfection never left. At its peak, the gun industry, still connected by a thread to the talented Hazaris, employed hundreds of people and produced thousands of firearms for hunting. The single- and double-barrel models of today, honed from a 22-inch shaft of steel, are best used on the migratory birds that pass through the valley. But Nazir Zaroo claims the guns have taken down bigger game in the past. With each animated gesture, the beasts become larger. Deer. Ibex. Himalayan brown bear. At one time, foreigners — mostly post-colonial Brits and Americans — swarmed the valley, commissioning expeditions into the surrounding mountains to hunt big and small game. Led by Kashmiris, they tracked snow leopards, deer and geese. 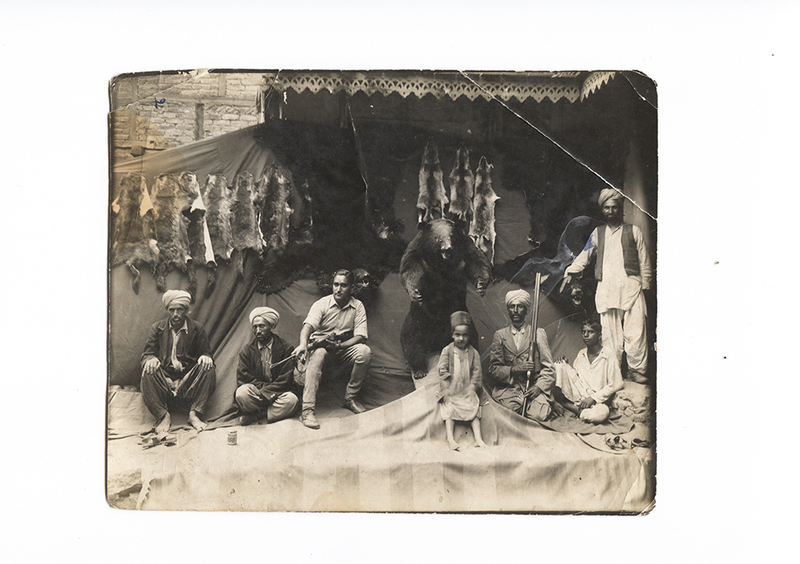 Stopping in Srinagar, these wealthy sportsmen and collectors snatched up guns as fast as they could be made. These were the boom years, which lasted even into the 1980s. But the 1947 partition of India and Pakistan had created a violent geopolitical disaster. The Kashmir region, coveted by both governments, became a source of tension for years to come, with the two countries fighting three major wars over the area. The pine forests, once stalked by hunters, are now pockmarked by military outposts. In 1989, thousands of Muslim Kashmiris began an armed insurgency, resulting in the deaths of more than 70,000. In addition to deploying heavy military force in the valley to trample the uprising, the Indian government acted quickly to stop the production of anything that resembled a weapon. Gun manufacturing stopped. The fear, at least in the beginning, was that militants would get their hands on the extensive stockpile of guns from the factories dotting the state. As a result of the paranoia sweeping the region, for a two-year period starting in 1990, not a single gun was manufactured in the Kashmir Valley. Weathered hands lay dormant. From the 1990s until 2003, police raided the factories often, searching for evidence of the gunmakers supplying the militants. With the illegal arms trade over the Pakistani border now stymied by security forces, young militants are increasingly starved for weapons. But the only guns in the area are largely useless to the militants. “This thing?” asks Irshad Ahmed, Javid’s cousin, as he handles a shotgun. “Against an AK-47?” The guns favoured by militants far outmatch the hunting weapons. He places it back down, resting his case. One of the harshest blows to the industry arrived in 1997. The Indian government banned hunting in the valley. According to wildlife experts, species once facing extinction have bounced back. Gun sales might be hurting — but musk deer and markhor goats aren’t. 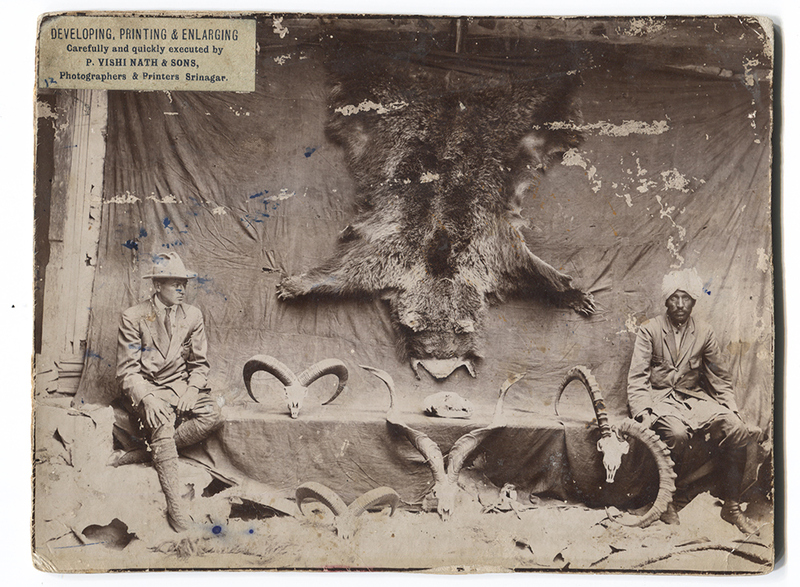 All that remains from the legacy of hunting in the region are scattered memories from former guides, and the tattered, faded photos of hunters with their guns and game, tucked away and almost forgotten in boxes and bags. Unfounded fears of guns shuttled through underground networks into the hands of militants soon eased, and so did government regulations. But the cap in Kashmir, which permits Subhana & Sons to produce no more than 300 guns per year, hasn’t changed in more than 25 years. The restrictions also stifle any development and changes to the guns. They are relics adrift in the modern day — mirror images of the ones made almost a century ago. For collectors or connoisseurs of fixed, unwavering design, the guns are a shining beacon of quality. But what about for the craftsmen? On a sweltering day in late July, Javid and his assistant Abdul Rashid settle in to work amid the cool darkness of the factory. Nearby, police clash with Kashmiri youth. These pitched battles with security forces and fearless youth armed with bricks — a blurred frenzy of attack and retreat — underscore the tenuous peace holding the region together. The violence, erupting weekly in pockets throughout the Kashmir Valley, is much of the reason government restrictions remain in place. So long as there are protesters in the streets, the government sees little reason to expand the sale of the guns. Time has whittled away the field of master craftsmen. Instead of a rich tapestry, the history of the craft now exists in bits and pieces of information held by the grandsons and great-grandsons of the first shop owners — often in contradiction. The odds are stacked against the Ahmed family. Few of the brothers and cousins running the factory envision their children continuing a family tradition with bleak prospects. A fear lingers in their hands when they make the guns: the skills of their forefathers may well die with them. There is a tragedy in knowing that theirs will be among the last hands to carve, shape, and polish their family’s legacy.